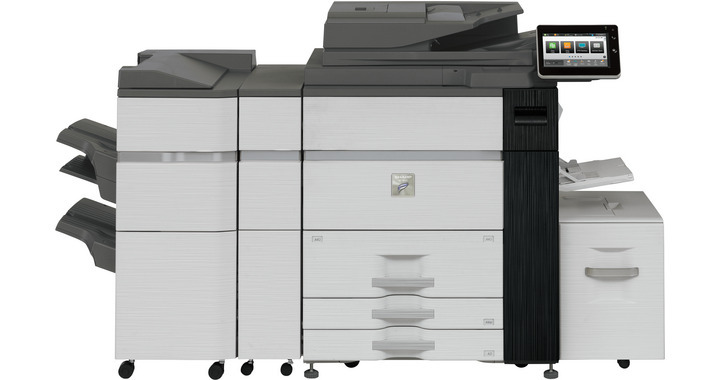 The MX-M905 is a speed, high performance, high productivity black and white printing system designed to handle the rigors of high volume environments with the user friendliness of a workgroup MFP. 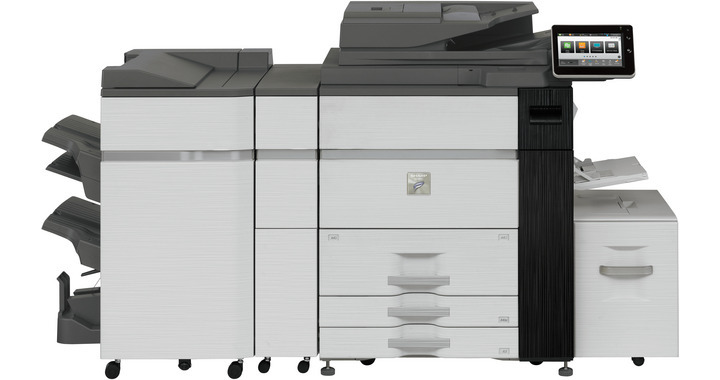 From walk-up office environments and busy departments to CRDs and print rooms, this workhorse is a perfect fit where productivity and reliability are critical and ease of use is essential. 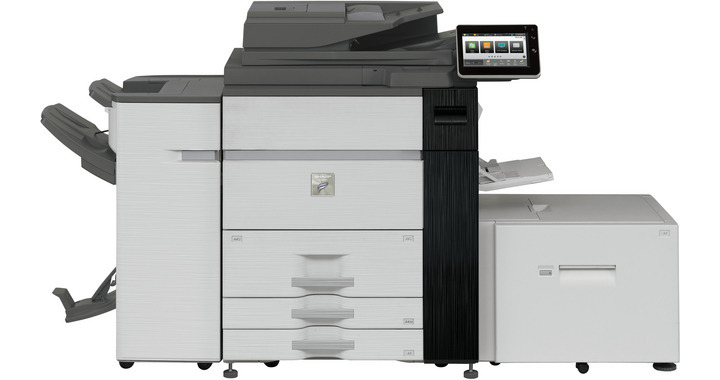 The MX-M950 features a new customisable user-friendly graphical interface together with a wide range of paper handling and finishing options. 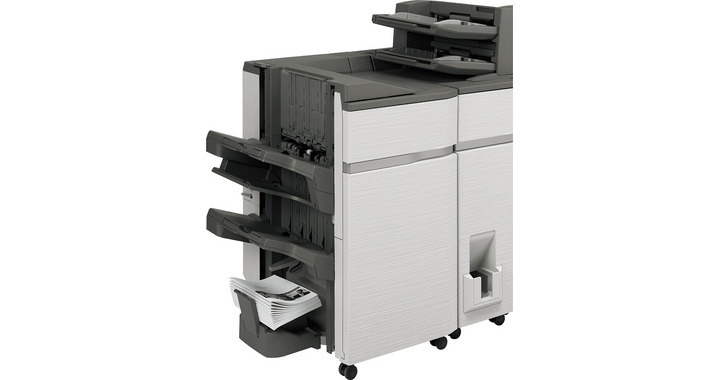 Mobile printing and mobile scanning with Sharpdesk Mobile, are seamlessly integrated. 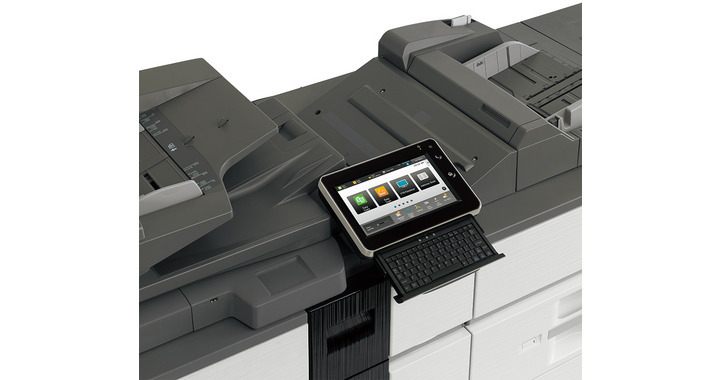 This high-speed device can also connect to popular mobile printing platforms such as Apple AirPrint®, Google Cloud Print™, and Native Android™ Printing. 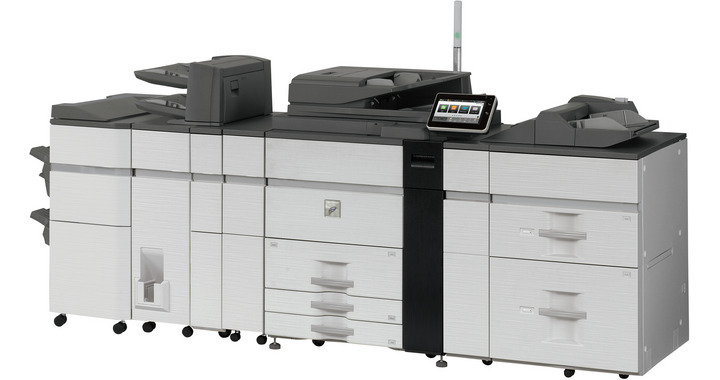 For ultimate convenience, standard Serverless Print Release technology enables customers to securely print a job and release it from up to six Sharp document systems on your network without needing a server or additional software. 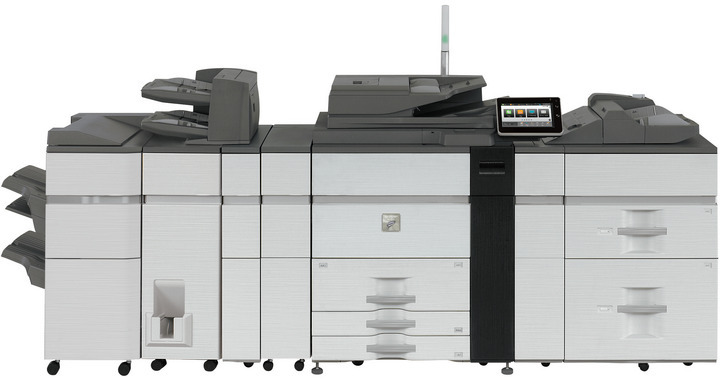 Sharp OSA® technology enables easy integration with network applications and cloud services. 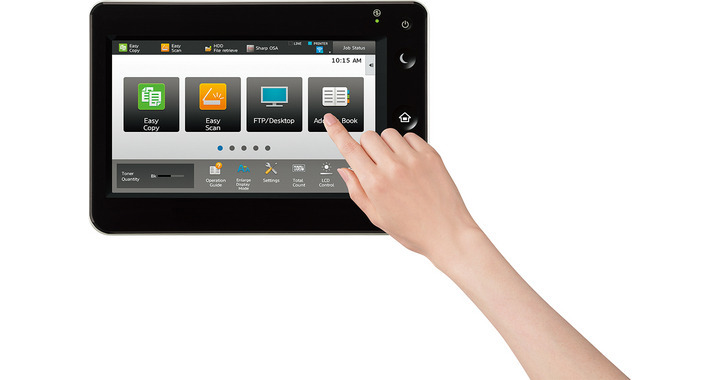 The Cloud Connect feature leverages Sharp OSA technology to access popular platforms such as Microsoft OneDrive for Business, Google Drive, and SharePoint Online without added middleware. 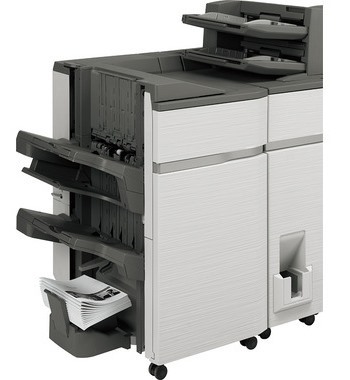 This document system also supports scanning using embedded Optical Character Recognition (OCR) software enabled via DirectOffice™ technology, which allows for the conversion of scanned documents to popular Microsoft Office file formats, including Word, PowerPoint® and Excel, as well as a variety of Adobe® PDF formats.